Home Carolynne Highest Point Festival Returns! Highest Point Festival is by far the city’s biggest music event despite beginning only last year, when it successfully entertained over 20,000 people within the heart of Lancaster’s idyllic Williamson Park, and it is set to grow again this year with multiple different evolutions moving from a local music event to a proper festival. If you’ve been to the park before, as I’m sure you have if you’ve been a student here for long enough, you’ll likely be wondering how a festival boasting three large stages could squeeze into such a small and steep area. That this so seamlessly is credit alone to the organisers: the main stage into the grassed space at the foot of the Ashton Memorial, the BBC Introducing Stage around the back of the Memorial (by the butterfly house and a third), ‘The Dell’, stage set back amongst the trees in one of the few amphitheatres hidden within the park. This worked perfectly: there was surprisingly little noise leakage between stages – even though at all times, they were all filled with performers, and countless bars and food outlets popped up to utilise the leftover space making it feel as if you were in a little pocket of Lancaster that was totally separate from the outside world. This will only increase this year, as the opportunity to camp at the Festival becomes available; reaching the appeal out beyond the families and thirty-somethings of Lancaster who can stumble home at the end of the night, to people who may travel in for the atmosphere – like your families from home, for instance – or even if you can’t afford to splash out on Stagecoach’s prices to get back to campus! Moreover, the days are longer – starting at 11am – and the family day has been shifted to Sunday, so as to not clash with the revellers who simply want to ‘get on it’ straight away. The line-up is another big improvement from last year. Although 2018 saw the homecoming of North-Western starlet Rae Morris, the line-up is much more rounded with recognisable names this year, which should be appealing to those who were unsure about attending in the past. Disco-legends Sister Sledge headline the main stage on Friday night, fitting the atmosphere of the festival perfectly with their universally accessible, positively-vibed songs such as ‘We Are Family’, ‘The Greatest Dancer’ and ‘Lost In Music’ set to turn Williamson Park into one enormous dancefloor! The slight ‘throwback’ theme of the line-up continues with The Zutons – who originally performed ‘Valerie’, the hit made famous by Amy Winehouse, amongst other tracks such as ‘You Will, You Won’t’. These should be a strong finish to the day because, let’s face it, who doesn’t love bopping along to indie-guitar music at these sort of events? 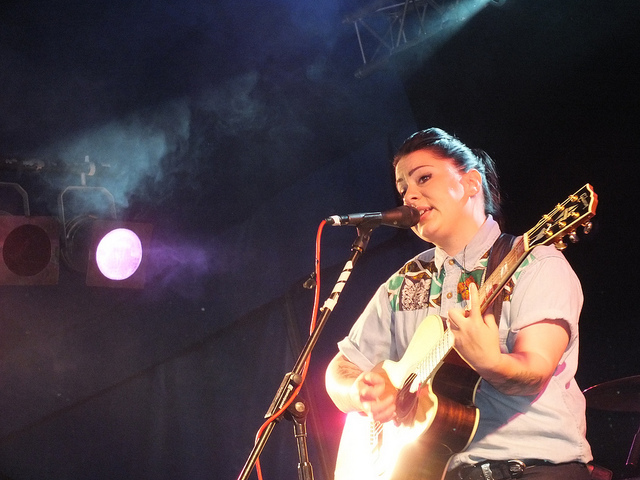 The appointment of The Zutons alongside another recognisable name in The X Factor’s Lucy Spraggan make this year’s line-up much more appealing to the student population of Lancaster – a demographic who seemed somewhat alienated by the timing, price and ageing line-up of Highest Point 2018. 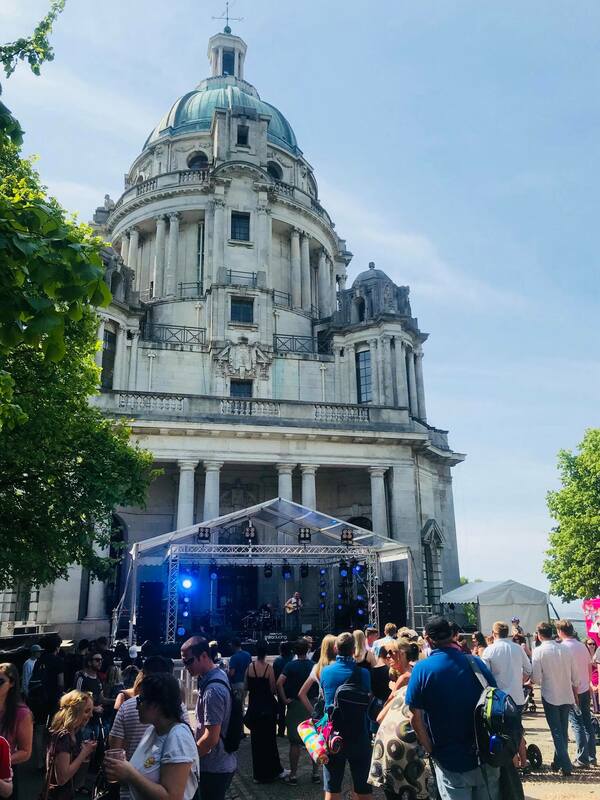 Highest Point’s highlight for me last year was the BBC Introducing stage – supported by BBC Radio Lancashire; this year should be a similar success with high quality acts Anna Calvi, The K’s and Y.O.U.N.G all due to grace the stage. If none of these indie or mainstream sounding artists grab your attention, one of the major successes of 2018 was the prevalence of DJ sets – throughout the day there was endless rotation of DJs that proved really popular with the people of Lancaster who just wanted to dance. Even LUEDMS got involved, and are likely to make a return this year when the DJ line-up is released in the near future. Tickets for Highest Point Festival 2018 (17th-18th May 2019) are available here.